Don't we love children? Yes, we do. 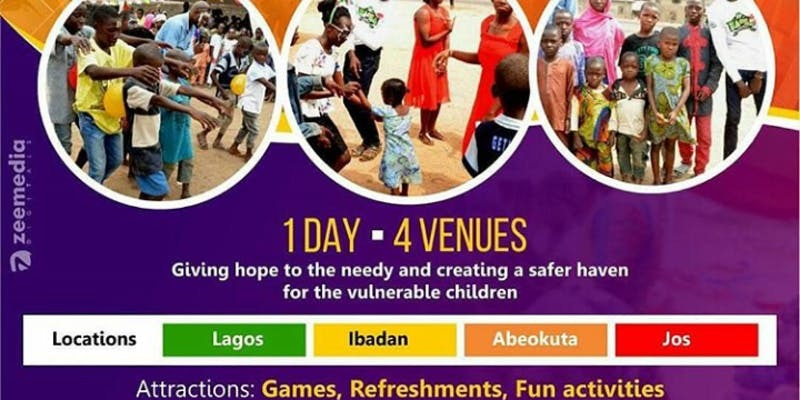 If you are a lover of kids and teens and you'd be in Lagos on Saturday the 26th of May 2018, kindly join us at our annual children's day celebration with some of our friends, the underprivileged ones who do not have enough to take care of themselves or the vulnerable ones who have no one to stand up for them. Let's all take a stand today to create a safe haven for this young generation of ours. It promises to be lots of fun with games, refreshments and exciting activities.